A superb Noël Coward comedy, an evening of hilarious antics, laughter and absurd situations. Come and enjoy this 1930’s stylish period piece of live theatre starring Madame Arcati, Ruth and Charles Condomine, with Elvira his ghostly deceased first wife. 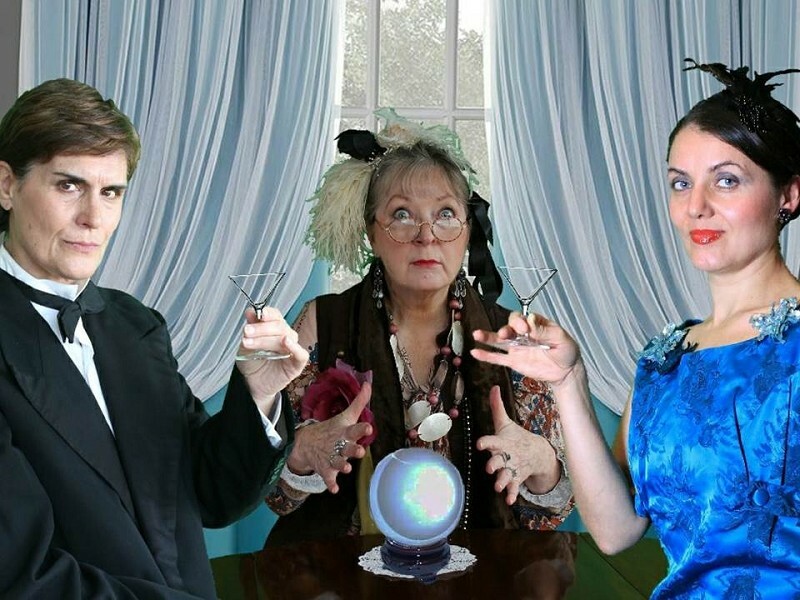 Hilarious marital mayhem, seances with disastrous results accompanied by plenty of dry martinis! A true hit of London and Broadway stages which originally ran for 1,997 performances. Revived many times, latterly in London’s West End, starring Angela Lansbury as Madame Arcati. Have a great evening watching this “improbable farce” performed by the Dartmouth Players.